August 2013 Update: Thanks to crowdfunding campaigns, concept products are making their segues into reality much quicker these days. 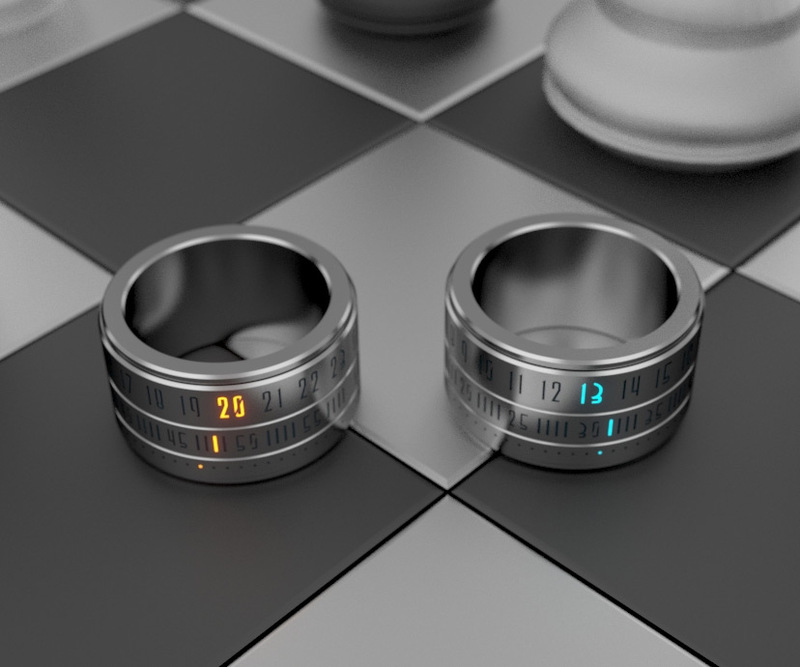 Two years ago, the Ring Clock emerged from a Moving Innovation challenge set forth by CGSociety.org. Participants were asked to develop a product whose practicality would be limited today, but possible 10 years from now. The thing is, the 21st century is impatient. It demands speed and efficiency. And also a Taco Bell within 2 miles of any given location. 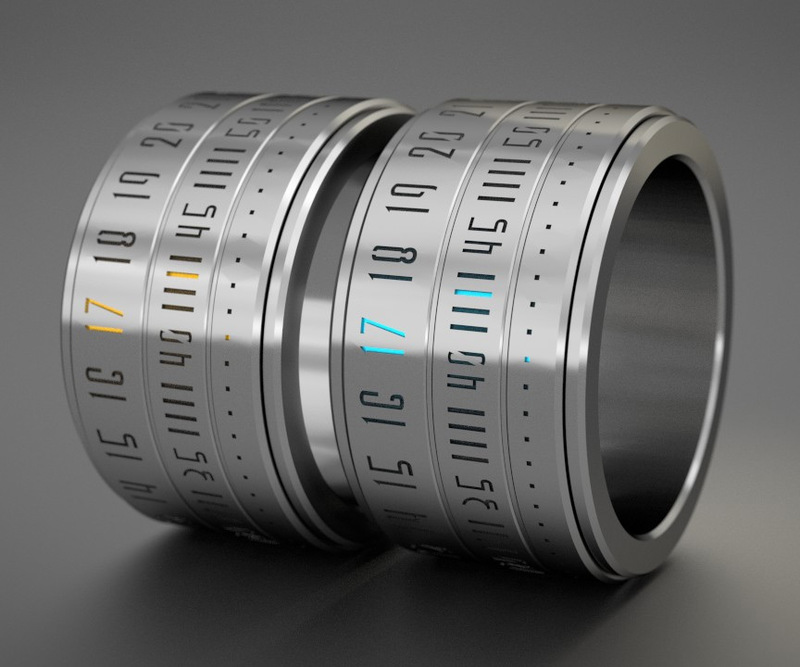 So Gusztav Szikszai's mechanical ring, which elegantly rotates around the wearer's finger to display the current time, has actually come to fruition in a fraction of the projected decade's time. Kind of fitting, isn't it? The Ring Clock is the watch that just couldn't wait for time to pass. Ring Clocks are made of 316L surgical stainless steel stacked with three encircling bands for displaying the hour, minutes, and seconds. The current time appears highlighted in blue or orange LEDs, so even though the piece looks like a decoder ring, no Tokyo-Flash-style mathematical or deduction skills will be required to determine if it's time for a Beefy Crunch Burrito yet. 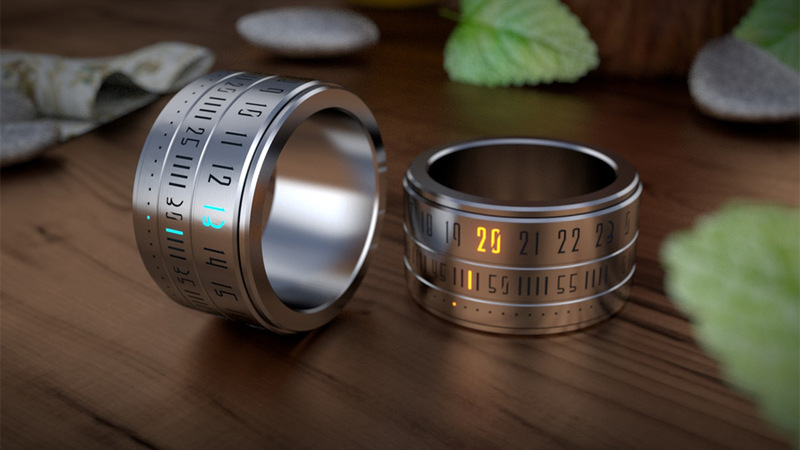 Put Indiegogo dibs on your Ring Clock through October 11, 2013. November 2013 Update: Pursuant to a successful crowdfunding campaign, Ring Clocks are available for direct purchase through the company's online store--follow the link below.